Also, a Ratatouille ride has been officially announced for Epcot’s France! This will open in a space behind the Eiffel Tower in the France Pavilion — a completely new section of the pavilion. 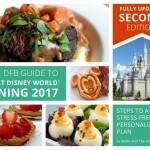 This will approximate the Ratatouille ride already operating in Disneyland Paris, in the sense that guests will “shrink to Remy’s size and scurry to safety in a dazzling chase across a kitchen with the sights, sounds and smells of Gusteau’s legendary Parisian restaurant,” according to Disney. AND back in Future World, a Guardians of the Galaxy-inspired attraction is also on the way! This attraction will be built in the space where Universe of Energy currently operates, and it will close on August 13, 2017). Tron is coming to Tomorrowland! This popular ride currently running in Shanghai Disneyland is a fan-favorite! And while some may be disappointed to see that it’s in Magic Kingdom as opposed to Epcot, I like the Tomorrowland location. It’s a fantasy attraction — not reality — so it fits better into Walt’s vision of Tomorrowland, in my opinion. Magic Kingdom will also open a new live entertainment theater on Main Street, U.S.A. But boy, oh, boy… there is STILL MORE. And they are BIGGIES!!! YES!!!!! 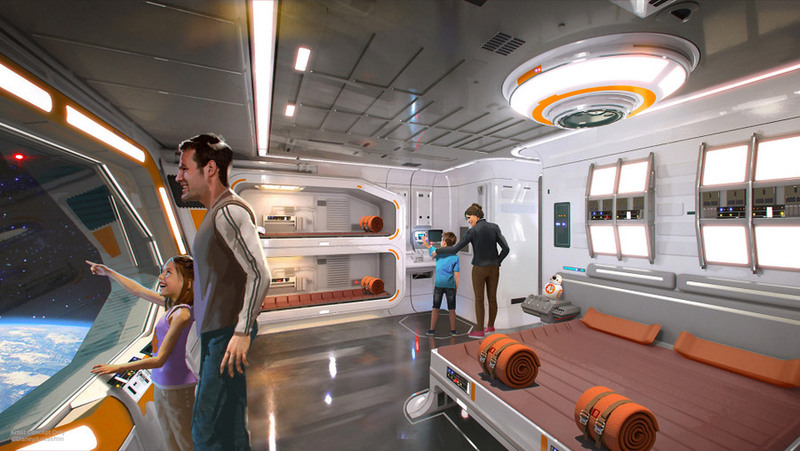 Oh, my goodness, if you want to LIVE in a galaxy far, far away, you will completely be able to with a stay at the upcoming Star Wars-inspired Resort! But it will be more than a Resort simply decorated to reflect and honor the Star Wars films. 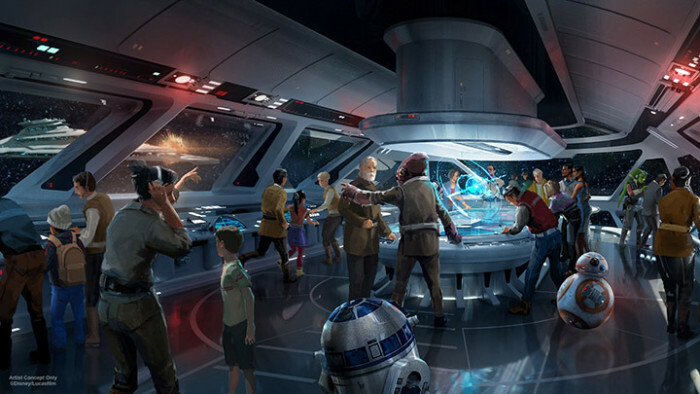 The experience will be completely immersive, inviting guests to actually BE A PART of a Star Wars story! There is more to say on this, so we’ll be following up with more on what sounds like it will be an amazing experience soon! 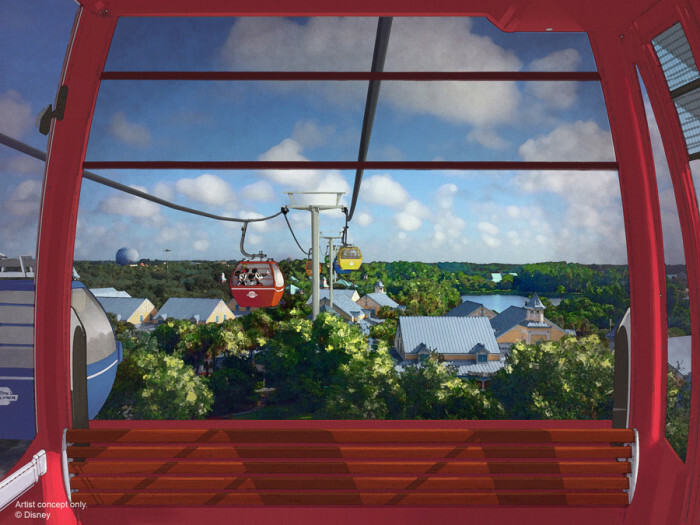 If you enjoy keeping up with all the latest rumors swirling about Disney World, then you may be excited to hear that the GONDOLA transportation system has officially been confirmed! Officially named the Disney Skyliner, the gondolas will connect Pop Century Resort, Art of Animation Resort, Caribbean Beach Resort, and the newly announced Disney Riviera Resort (a Disney Vacation Club property) with Hollywood Studios, as well as Epcot’s International Gateway. Oh, and guess what else?! It’s also been confirmed that Toy Story Land is opening NEXT YEAR!! Get ready to take on the Slinky Dog Dash family coaster and Alien Swirling Saucers, an attraction based on a toy set that Andy got at Pizza Planet! Galaxy’s Edge — THAT’S the confirmed name for the upcoming Star Wars land coming to Disney World’s Hollywood Studios and Disneyland — is, as previously announced, slated to open in 2019. So. Slow news day, huh 😉 ? 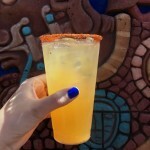 Which of these experiences coming to Disney World are YOU most excited about? Let us know in the comments below! All this and three new ships….they’re going to be very busy. You forgot to add Great Movie Ride replacement; Mickey and Minnie’s Runaway railroad ride coaster in 2 1/2 D, thats 3D minus the need for the glasses. Tron ride next to Space Mountain! 2021 is gonna be an amazing year for the 50th!!!! I hope they don’t take away the French movie for Ratatouille. I’m sad to see the Great Movie Ride go, especially before my visit next month. Not much notice on that. It would be nice to visit WDW without it looking like a building site just once! As a for GMR cast member this is heart crushing news. I want a new park that is called Classic Disney. It will be like a graveyard of old attractions they have closed. Sky buckets from MK, Mr Toad, leages under the sea, the old toon town, catastrophe canyon, horizons , the old figment and the dream finder and most recently Malstrom etc. along with a bird and fish sanctuary that’s houses all the birds and fish they got rid of at the Polynesian. A monorail your still allowed to ride in the front with driver. River country. The park would end the day with Tapestry of Nations. As a former GMR cast member this is heart crushing news. I want a new park that is called Classic Disney. It will be like a graveyard of old attractions they have closed. Sky buckets from MK, Mr Toad, leages under the sea, the old toon town, catastrophe canyon, horizons , the old figment, the dream finder and most recently Malstrom etc. along with a bird and fish sanctuary that’s houses all the birds and fish they got rid of at the Polynesian. A monorail your still allowed to ride in the front with the driver. River country. The park would end the day with Tapestry of Nations. Kirsten, I agree completely! Disney has discarded some great attractions in favor of the new ones. I’m disappointed in the growing connection to current movies. It would seem like they would get dated so quickly. I am so excited for all of the new attractions! I went on the Tron ride at Shanghai Disneyland, and it is my favorite Disney ride of all time! 🙂 YAY for Disney! I know things have to change but why take away some great rides. They have room to just add more. Maelstrom was a favorite ….and I enjoyed it much better than the Frozen ride. Although I’ll never stay at the star wars resort, I’m super excited about everything else! 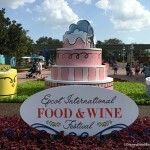 I love Kirsten’s idea about a classic Disney World park. I would truly enjoy that on every trip and so would so many of my friends and family! Is the movie in France staying?? Jaime — Disney hasn’t share that information yet. We’ll keep you posted, though. Essie — Yes! It’s an awesome idea! I’ve often thought the same thing as Kirsten: I’m waiting for that nostalgia land, too. But add World of Motion and If You Had Wings as well. Kimberly — If you had wiiiiiingggss! Yes!!! If u had wings Yes!Mt Yoad oh yeah! Too bad Bistrot Chez Rémy won’t be replacing Chefs de France as well. 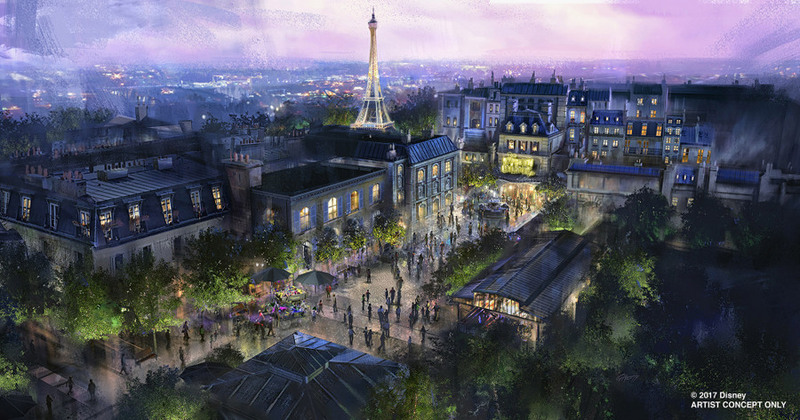 I’ve been to DLP several times and Ratatouille is my favourite ride there so I’m chuffed it’s going to Epcot. It’ll be great if they have the restaurant which accompanies the ride at DLP – Bistrot Chez Rémy. I’m going to DLP later this year and will be going on the ride and dining in the restaurant 🙂 This is the second ride that DLP have done an accompanying restaurant with. Pirates of the Caribbean has an accompanying restaurant which was called Blue Lagoon up until very recently. The ride has been refurbished and now has Jack Sparrow and the restaurant is now called Captain Jack’s. They’re both re-opening soon. Yes, I agree with Kristin. Not every park goer loves to be shot through the air, spun around and dropped from the sky. Some of us enjoy the casual, entertaining attractions. I 100% agree and even if they called it Yesterland or Walt’s Village-whatever it’s a GREAT idea! I’m excited about the MK Gondola, the bus thing is a drag when staying at some of the further away hotels. DW is also always so crowded now, maybe more attractions will spread out the congestion that spoils the fun. I agree with Kirsten, Hannah etc., yes I know there is an interest from some customers for speed , roller coasters & science fiction type themed rides but why does it have to turn into an expo, islands of adventure, or cedar point type park? It was started by Walt Disney with the vision to be a family place to come and enjoy and all of his original visions have begun to fall. Why don’t they build a roller coaster themed park and leave some of our memories alive with the original. Oh yes I know why it is all about “money”. So sad for us that valued and believed in the ” magic” that Walt brought to the parks so, so many years ago, and how now the older original ticket purchasers are being forgotten. I too would love a park with all the old attractions and was thinking about that just the other day. Yes to ”If you had wings” for sure and maybe even “Dream Flight” and “The Mickey Mouse Review” (I believe it’s currently in Tokyo). Horizons for sure if we add attractions from other parks! I am looking forward to all the great coming attractions at EPCOT AND Hollywood Studios I will miss The Great Movie Ride that was always one of my favorites. I will visit the G.M.R. a least two more times before it closes. I would like to add – bring back Sid Cahuenga’s MGM shop, and the Beavertails Canada booth at Epcot! I too lament The Great Movie Ride. I fear that will all the new “thrills” we will be missing the old “charm”. My annual pass hopper was $600.00 year before last. Last year when I got a new pass, it jumped to $800.00. ($200.00) Not $50.00-60.00 like I thought it might. Now I hear when I renew it, IF I do, it will be $840.00! Count up the increases in 2 years. 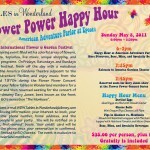 Disney says that attendance is down. Ever wonder why? Now on to the NEW rides and attractions. I have never seen the movies of the France RAT. Why would they spend that kind of money and the area around France? Not just the rat ride but the 2-3 acres around France? I’ve never seen Star Wars. I see enough people that look like them in real life. Look at the news and newspapers and you see the killings and destroying also. Disney has moved completely away from the old rides that are listed in the previous comments. I agree with these people. PLUS my passes are increasing so Disney can build mess that I’m not interested in. Disney knows the children are the bosses in the family, so they are trying to cater to the kids. ALSO parents feel guilty for not spending enough time with the children at home, so they are going to Disney to make up for the guilt. How many smiles do you see on peoples faces that are dragging the kids and husbands along? NOT MANY!! The kids might be happy for 30 minutes in a day. By lunch, the parents are ready to kill the children and the children are ready to die. Disney is certainly NOT a place to help guilt trips. Kids had lot rather be at HOME with their PARENT’S ATTENTION. Most grandparents that have NOT been around the kids but 2 times a year are miserable also. I tell them they are paying a fortune to be miserable! They laugh and totally agree. To top all of that off, people are paying for their expensive vacation 2 years from now. I go to Disney 2 times a year. But now they are increasing my passes for things I have no interest in. I really don’t think I’m going to get a new pass next year. This might be my last trip when it runs out in January. I live in N.C. and have been going to Disney BY MYSELF FOR 38 YEARS. My husband has never wanted to go and I’m glad. Two more things, why in God’s world would Disney have only ONE women’s bathroom in BE OUR GUEST? Why a small seat that 2 adults CAN’T squeeze into on the Snow White ride? You can bet on it, yes, they will remove the movie in France. You can count on it! I see it 3-4 times in the course of my stay. It will be another kids’ something or other!! The Great Movie Ride needed updating years ago, BUT now it is being updated for something else for kids. Certainly not for adults! The NEW Soarin’ show is nothing as good and the old one. Nothing! My seeing it one time was enough. I live on the right hand side of the Mississippi. Why weren’t the names of each location printed on the picture in the old movie? NOT ON THE OUTSIDE AT THE DOOR? What connection am I’m going to make with the place and name to some place I’ve never heard of? Why didn’t they put a name with the PLACE on the new picture? I have a scooter. Contract busses don’t carry scooters. I had to wait for 5 BUSES one night because Disney was full with scooters and the contract busses don’t carry scooters. It was horrible. A Disney driver told me they were doing away with Disney drivers. As you might have guessed, I’m mad and disappointed at Disney!! I think this trip in December will be my last!! I’m sad. DISNEY, YOU ARE NO LONGER WORTH THE MONEY!! With the weather as it is in Florida I wonder how many times the skyliner will be down due to bad weather. I am a handicapper (high functioning Quadriplegic) and I utilize a scooter vs. a powered wheelchair. The last few years the rides which once allowed scooters now will allow only a wheelchair (which I am unable to transfer into), or powered wheelchair, but not a scooter ….no matter the level of handicap . What really frosts me is that, despite the fact that I pay full price for my tickets, I’m no longer allowed now, on the majority of the major rides. Each year they progressively reduced scooter accesability. I understand that it’s difficult to make all the rides handicap compatible for scooters but they once were! I if can’t ride the major rides due to compatibility issues with scooters, then lower my ticket prices! Better yet make your rides (Disney World) so that they can accommodate ALL handicappers wether they are utilizing scooters, wheelchairs, or powered wheelchairs due to thier disability. Just like state Handicap Parking permit requirements (ie. a doctor’s letter) is a requirement for each state. A requirement can be established so ALL ticket holders can enjoy the parks and the rides equally , but they must accommodate EVERYONE. We will again be visiting Disney World this December. I will be curious to see just how many more rides I am unable to go on due to my disability, and my choice to utilize a scooter , for the cost of my full ticket price this year…! I am sorry to see the great Movie Ride going. This area could have been used as and area to bring back some of Disney’s old Movies and put Mickeys Ride at the Magic Kingdom. There a lot of them that aren’t anywhere else at Disneyworld. I’m 71 and have been to Disney about 20 times and have seen every single ride/exhibit during the years. I think the areas being shut down are tired and/or boring and the new areas seem exciting and I only wish I could see them all. My last trip is in May 2018 and I’ll have as much fun as my first trip when only The Magic Kingdom was in WDW. The prices have gone up but look at all you get for that money! You can’t get that value any where else on earth including Disney in California. Come on people, move on. I’m 61 yrs young, I absolutely LOVE Star Wars everything, I’m so excited about stars hotel coming to WDW I can hardly wait, and of course all I f the new Star Wars attractions. I have an annual pass, and I’m really considering applying for a part time job so that I can be there all the time, I’m that excited! I love the avatar ride and really think the avatar stuff is beautiful if starwars is anything close to that, it’s going to totally knock my socks off. I know disney tho, will go all out, because that’s just disney. I just can’t wait, I’m so excited, so please hurry, please! Wendy — Let us know if you work there! I love the old and the new, both. I could do without Fast Pass though. It takes away some of the fun conversations we used to have in line. Enjoying time with each other while looking about at what Disney created. 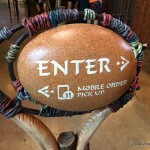 No one does line queues like Disney!!! That is an amazing idea! To have a retro park with all the old rides. So many of them could be transported to a new area instead of being demolished. Sure it would cost a lot to create a new area but I bet there are a whole lot of us who would jump at the chance to visit the rides we remember from childhood and previous visits. Count me in!